Note: This is the same article I published on Soccerlens.com, which you can find here. It’s that time of the year again. The time when a random (ok, let’s call it ‘well-respected’ if you prefer) football publication makes an “All Time Best” ranking that never fails to create controversy and offend a few people. FourFourTwo did one of those last month, this time it’s the turn of the ‘Association of Football Statisticians’ to make its Top 100, after studying every fact and figure from the beautiful game over the past 100 years. Points are given for goals scored by forwards and clean sheets for defenders. Players also get awarded marks for trophies won, captaincy and the level they played at throughout their career. Manchester United legends George Best, Denis Law and Eric Cantona don’t make the top 100. Ali Daei’s 109 goals in 149 games for Iran puts him at 26th – ahead of players like Dennis Bergkamp, Thierry Henry and Ronaldinho. Diego Maradona is ranked only 6th. The publishers explain to The Sun that Best misses out because he never participated in a World Cup tournament, and had a fairly short career, while Ali Daei won his place by scoring 109 goals in 149 international matches for… Iran. 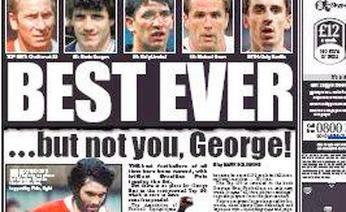 The Daily Star takes a look the UK players, and finds out that England’s top star is Bobby Charlton in 23rd spot, two places above Scotland’s Kenny Dalglish. David Beckham is 44th, Kevin Keegan at 46th, Gary Lineker 56th, Welsh ace Ryan Giggs 62nd, and Michael Owen 68th. Alan Shearer misses out of the top 100. Further analysis of the ‘Best 100′ reveals that the top 3 trio is 100% Brazilian (with Ronaldo 2nd and Romario 3rd… and Cafu closing down the Auriverde block at 10th). Figo is 4th, Zidane 5th, and other big names such as Platini (13th), Maldini (15th), Zico (16th), Gullit (18th) and Cruyff (21st) are excluded from the Top 10. The most represented nation is France (with 16 players), followed by Brazil (11), Italy and Germany (10). England totals 7, Argentina 5 (Messi not included). Also, in terms of overall football career, the most represented European league is the Serie A. 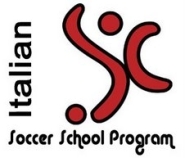 Indeed, most of the Top 100 played at one point or another in Italy: Serie A totals at least 58 players in that ranking, closely followed by La Liga (44), and the EPL (36). Other represented leagues include the Bundesliga (22), the French Ligue 1 (22), the Dutch Eredivisie (20), and the Portuguese Superliga (5). As for South America, the Campeonato Brasileiro counts 11 players while the Argentine Apertura/Clausura only 8 (most of the Brazilian/Argentine stars obviously beginning their career back home). An interesting note is the total of 13 players who played in the MLS/USL (mostly at the end of their careers), making North America the destination of choice for footballers close to retirement. As for the Italians, aside from the aforementioned Paolo Maldini the remaining 9 players in the list are Paolo Rossi (43rd), Alessandro Costacurta (49th), Dino Zoff (51st), Alessandro Del Piero (60th), Demetrio Albertini (64th), Giacinto Facchetti (75th), Franco Baresi (77th), Gianni Rivera (78th) and Roberto Baggio (79th). 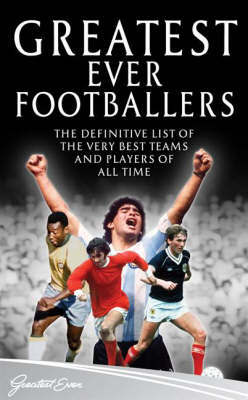 The Top 100 is revealed in the book Greatest Ever Footballers, on sale next week by Headline publishers for £14.99 (€21.50). This entry was posted on Wednesday, November 7th, 2007 at 2:30 am	and is filed under Soccerlens, World News. You can follow any responses to this entry through the RSS 2.0 feed. Both comments and pings are currently closed. Maradona in 6th? Cruyff not even in the top 10? What would we expect from the guys of the statistics? I dont agree. Maradona according to me is the best player so far. WORST RANkiNG Ive Ever seen in my life…..
Maradona 6th and TOTTI not even in top 100…. who are u mate ? Do u know anything about soccer ??? jorge “el magico Gonzales” is clearly in top 5? Got to have more Milan players on th list. they’re tied with boca for most titles in the world and have almost as much CL titles as Madrid if they didn’t win the title five times in a row which is impossible in modern times. where is tassoti arguably bed right back ever or donadoni or even some people from this decade like inzaghi top champions league scorer wit raul. or pirlo who events the style that xavi gets so much credit for. correct me if im wrong but im failing to see Shearer on these lists. clearly the best player ever! I wanted to write this comment for what I have written previously in my other review of Lionel Messi. I want to apologize for when I said congratulations on putting messi in that position ( in the list of Steven . I would not want someone to have misunderstood what I meant. In fact, I just wanted to suggest that crops and very young and has almost a ‘whole career ahead of him. The players must be evalueted at the end of the careerIn the twentieth century there have been very very good players who played during the war period which should not be forgotten. with this I say that in every case made and a great player who might become one of the best ever. I wanted to write this comment for what I have written previously in my other review of Lionel Messi. I want to apologize for when I said congratulations on putting messi in that position ( in the list of Steven). I would not want someone to have misunderstood what I meant. In fact, I just wanted to suggest that Messi is very young and has almost a ‘whole career ahead of him. The players must be evalueted at the end of the career. In the twentieth century there have been very very good players who played during the war period which should not be forgotten. with this I say that in every case made Messi is a great player who might become one of the best ever but now he has only 24 years. it’ s possible that ‘Argentinean become even stronger than now.I sent this comment to the errors in the previous one. Damn, that was an insult; Zico isn’t the top 5. Zico is so far the best, even Pele had to admit: after Pele, Zico is the closest to match his skill and his unbelievable talents. Ps: I wanted to correct the first part of my first comment when I wrote: Steven you really know the football and put you in the list (and not out as I had written) also old players That Are Often forgotten and not only last players. I wanted to add something to the thought that I expressed in my last comment to apologize for what I had written in a previous comment, perhaps because I have not yet clarified everything I wanted to explain: in the first comment I sent (10 July) which I congratulate Steven on his personal list, maybe for my difficulty in expressing themselves in English, I expressed a different thought from what I really wanted to say about Lionel Messi. In fact in my first comment I wrote that the position of Messi in the list of Steven (84) was correct in my opinion. But I believe that if Messi keeps playing like he’s doing now there are no problems to call him one of the greatest players in history perhaps the biggest. I meant only to compliment for a list that includes many players from so many years ago, even before the second world war of which unfortunately we have little evidence but should not be forgotten. I think in a classification must always take precedence over the players who made the history to those who are doing but for the simple reason that we do not know how it will be a player in the future. Messi still take for example: two years ago in the treble season of Barcelona was already considered a phenomenal player, now I think Messi is worth much more then. I therefore believe that a definitive assessment of a player can be given to the end of their careers. It is clear, in my opinion, that a ranking like that (84 in the list of Steven) is only provisional. But it is clear to me that Messi will assume the position on retirement will be much higher. At least in the top three places in each classification. I have done this type of discourse with Messi because in addition to being one of my favorites is the strongest in the world. But beware: this speech for me is true for every other player in activity, which is named Cristiano Ronaldo, Iniesta, Ronaldinho.Christian Ronaldo is for example 85 in list of Steven and I d ‘Agreement but has great room for improvement that could result in scale positions. I do so in my first comment of 10 July only meant to explain to remind all players and not just the latest. Is true that there are problems more serious than what I write but I would have been sorry that I misinterpreted his comment when talking about Messi July 10 I love a lot as a player and person for his humility. With my own top 10 list, I also invite everyone to comment on it, or vote on your own favorite player. I wanted to fix some mistakes in my first comment of 10 July. Sorry if I send messages all the time but I do it because of my difficulty in expressing themselves in English. 1. you out also old players is you put also old players. 2. mt favorites is my favorites. 3. You have seen footballers of Century 30′s 40′s is You saw players of the thirties and forties of the twentieth century or at least you have the knowledge. 4. Firsts positions is maybe top positions. 5.Lionel is obviously Messi 6. Other glory is other glories. George i visited your website and i posted a comment. Alright whoever made this list was definitely Brazilian. This list is TERRIBLE. Maradona at 6?? Cruyff at 21??? Ridiculous. wt abt david beckham i find the best mid fielder..
Desailly , Seedorf , Thuram , George Best , Romario … overall with distance to the above . sorry no reference for Puskás , di Stefano , they should be great and with high rankings . Beckham is a commercial star, not a good skill player . Think over, his skill is really poor , be fair .